Here you can find 2D shapes worksheets for your Preschool or Kindergarten child. Older students can take advantage of activity sheets covering 3D shapes. We'll start with worksheets for the basic 2D shape and then work our way up to some 3D shapes. Our oldest is starting to learn about 3D shapes in his 3rd grade class so I'll be covering those as well. I've also included lessons covering mathematical symbols. I feel it's important for children to recognize the plus and minus signs. Even if they aren't ready for addition, it doesn't hurt to learn the signs and the concepts behind them. 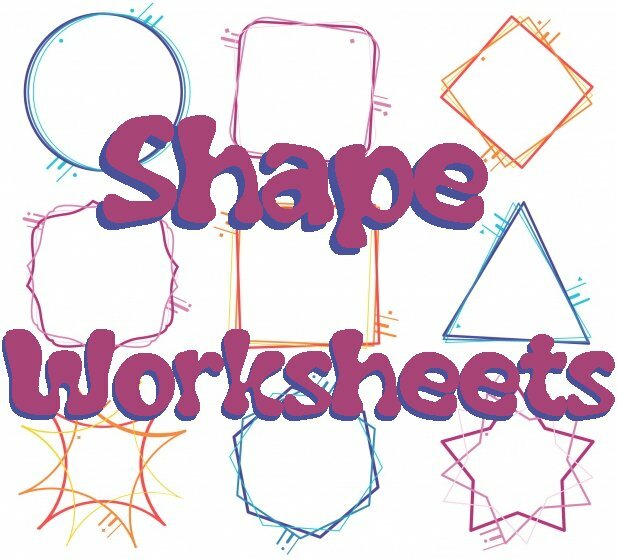 The images below link to printable activity sheets covering various shapes. You can also print out shape flashcards and coloring pages for more ways to teach your child. Each lesson comes with ideas on how to introduce the material to your child as well as instructions for each worksheet. Individual units will have activity sheets that focus on a wide variety of shape recognition tasks such as tracing the shapes, being able to pick out one particular shape among many, noticing shapes in real life, and much more.